Cool Car Colors: Which 2017 Models Are Available in Green? 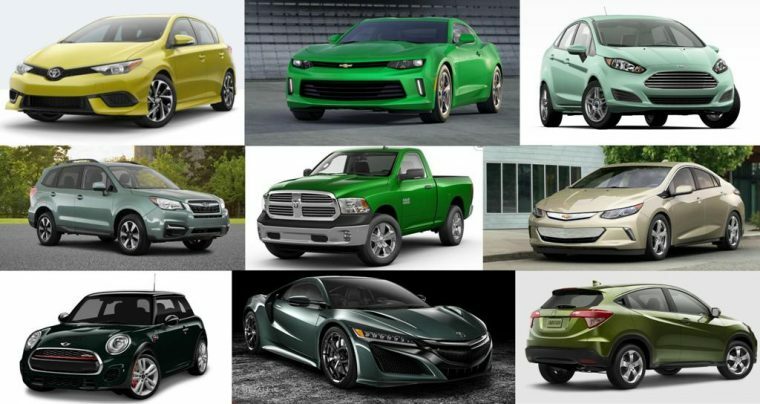 Last year in honor of St. Patrick’s Day, I wrote a list of which 2016 vehicles are offered in factory-painted shades of green–and the response I received was overwhelming. Many readers not only read the article but voiced their appreciation that someone else out there was disappointed in the lack of green color options on today’s market. To me, that clearly shows that despite green being less and less common among new models, customer still are demanding it. So listen up automakers–instead of only offering your vehicles in “metallic steel yawn” or “50 shades of grey,” try giving your cars more personality. Stop favoring exclusively bland, stoic hues. Let’s continue carrying the banner for vibrant and boldly colored cars. Here is an updated list of the most popular 2017 models offered in factory-optioned green colors. While the following list is certainly not complete, it’s indicative of the diverse spectrum of green colors on today’s auto market. This year, fewer automakers are offering green colors, sadly, but more American automakers are; there are fewer sporty cars and more outdoorsy SUVs in green, too. Audi and BMW still offer custom paint colors that can be mixed to your preference. Know of any more factory-painted green models from 2017? I’d love to add them to the list!